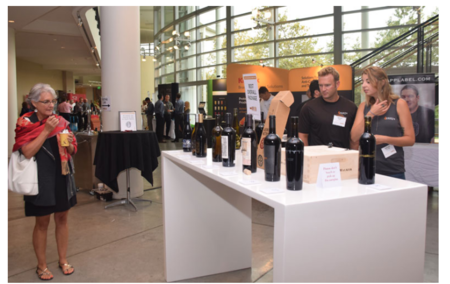 Napa, Calif.—This Thursday, Aug. 9, Wines & Vines is hosting its fifth annual packaging conference at the Lincoln Theatre in Yountville, Calif. The full-day event will include panel discussions, trade show and industry networking all surrounding the theme of wine packaging, design and brand marketing. The conference will kick-off with a keynote speech by iconic winemaker and original Rhone Ranger, Randall Grahm of Bonny Doon Vineyards. Grahm is known for an envelope-pushing creative and even comedic approach to wine marketing, including brand names and packaging. He uses puns, in-jokes, literary references, foreign phrases and internationally known artists to name and promote his wines. San Rafael, Calif.—According to listings in the Wines & Vines Buyer’s Guide directory of wine industry vendors, the number of companies serving the North American wine industry in the categories of capsules, closures and labels has dropped by 85, from 462 in 2008 to 377 today: a 22% decrease in the span of 10 years. In the wine industry, purchasing decisions are often spread across multiple departments: winemaking, finance, marketing and, of course, packaging, among many others. Best practices regarding organizing and aligning these purchasing decisions can ultimately affect a winery’s business. Grahm, founder of Bonny Doon Vineyard in Santa Cruz, Calif., is known for an envelope-pushing creative and even comedic approach to wine marketing, including brand names and packaging. San Rafael, Calif.—Wine on tap and in cans has caught on with consumers and will be the subject of a panel discussion at this year’s Wines & Vines Packaging Conference on Aug. 9. 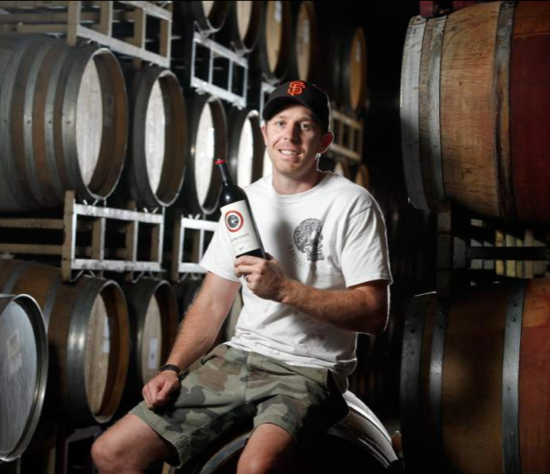 Speakers for the session, “Wrap Your Head Around Alternative Packaging,” include the co-founder and CEO of Napa, Calif.-based Free Flow Wines, Jordan Kivelstadt, as well as veteran winemakers Alison Crowe and Nicholas Quillé who have experience putting wines into kegs and cans. Napa, Calif.—His wines have always been packaged with a slightly irreverent style, most brands came with visually arresting labels and perhaps most notably in 2002 vintner Randall Grahm made a public spectacle out of holding a funeral for wine corks. On Aug. 9, the iconic winemaker and one of the original Rhône Rangers will take to the stage of the fifth annual Wines & Vines Wine Packaging Conference to deliver a keynote address on his thoughts regarding wine packaging. 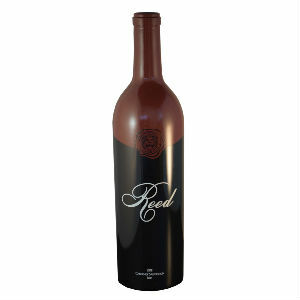 Thinking about redesigning your wine brand with a new look or just an updated label? Take care, only about one out of every 10 brand redesigns delivers a significant sales impact and half of them typically hurt a brand. That assessment came from a duo of experts with The Nielsen Co., at the recent Wines & Vines Packaging Conference. 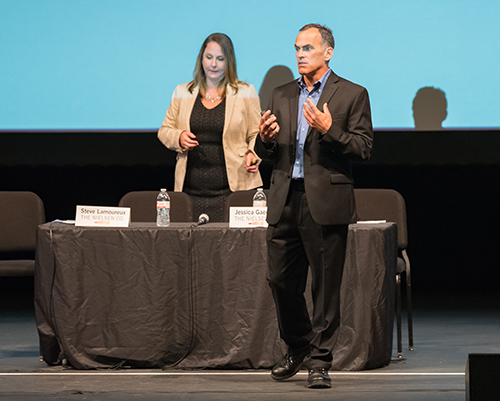 Steve Lamoureux, senior vice president of product innovation and design solutions and vice president Jessica Gaedeke discussed the importance of brand packaging and how to best ensure a redesign goes well at the conference that drew more than 400 people to the Lincoln Theater in Yountville on Aug. 16. Nearly 20 years ago, when Corey Beck was still a relatively new winemaker, the namesake behind Francis Ford Coppola Winery wanted a sparkling wine, in a can, with a straw so consumers like his daughter could drink it demurely. Beck put together a lengthy email about why such a packaging strategy was too costly, too impractical and just too difficult. Speaking to the audience at the fourth annual Wines & Vines Packaging Conference today, he said he was happy to see a reply within a minute from Coppola and assumed the owner had agreed with his assessment. It’s just a little bit of string, but when Francis Ford Coppola added decorative gold netting to the bottles of Claret in its Diamond Collection, the winery saw a big increase in sales. Corey Beck, president and director of winemaking for Francis Ford Coppola Winery, will discuss the success of packaging innovations such as the gold netting as well as some projects that didn’t fare so well at the upcoming Wines & Vines Wine Packaging Conference. 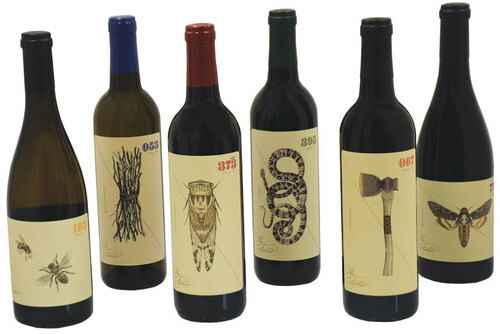 Wine packaging is the place an artist’s palette meets the winemaker’s palate. As managing partner of the 4Parts Design firm specializing in alcohol beverage branding and design, David Hanson-Jerrard has been working at that intersection for years. On Aug. 16, he’ll challenge wineries to look beyond their “house palate” in terms of brand identifiers and consider tools from the artist’s palette that can make their wine packaging truly noteworthy. From closure origins to recycled paper stock and bottle weight, winery staff make dozens of decisions that affect the sustainability of wine packaging before the materials are even ordered. 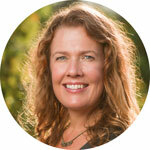 Next month, Allison Jordan, executive director of the California Sustainable Winegrowing Alliance, will lead a panel of winery supply chain and marketing professionals in a discussion about how to find the most sustainable packaging options to meet your brand’s needs. The event is part of the Wines & Vines Packaging Conference taking place Aug. 16 at the Lincoln Theater in Yountville. Joining Jordan on stage will be Ramon Ware, vice president of supply chain for Wente Family Estates; Rhonda Motil, vice president of marketing for J. Lohr Vineyards & Wines, and Mimi Gatens, marketing manager at Trefethen Vineyards. The group will tackle the subjects of light-weighting bottles, alternative packaging, closure options and the value of printing sustainable certification logos on labels. Bottling day doesn’t have to be hard. 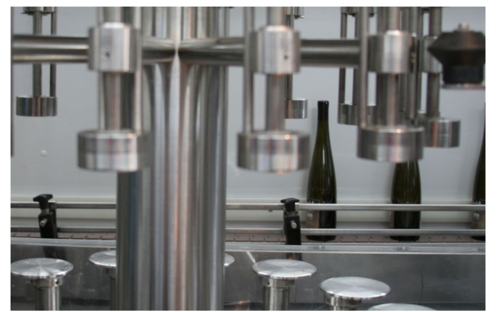 With a little preparation, good supplier relationships and well-maintained equipment, bottling can be a smooth and efficient process. The bottling session will be part of the fourth annual Wines & Vines Packaging Conference that takes place Aug. 16 at the Lincoln Theater in Napa Valley. Kenwood Vineyards chief winemaker Pat Henderson will provide insights and perspectives from his more than 30 vintages of winemaking experience. Winery staffers will get the chance to pick the brains of branding and designer professionals Aug. 16 at the Wines & Vines Packaging Conference in Yountville. Conference attendees are encouraged to bring questions and an open mind to get input from the the six design firms participating in “Designer Speed Dating” as well as their ideas for improvement. Designers are available to discuss everything from logos for new brands to rethinking old and tired packaging and starting a second label without alienating your devoted fan base. The professionals offering their services in short speed-dating sessions have expertise that ranges from advertising and web design to branding for small-production wine, beer and spirits producers. How Effective is Your Redesign? 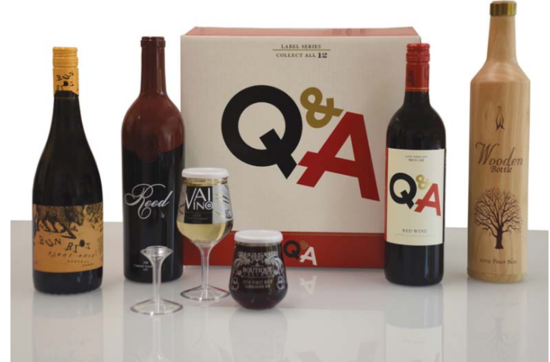 Readers of Wines & Vines have an opportunity to have their winery’s packaging critiqued for free as part of a consumer-research study organized by the Nielsen Innovation Practice. 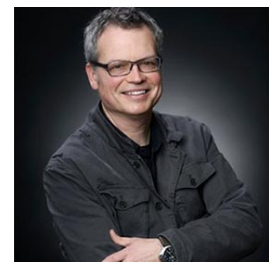 Steve Lamoureux, senior vice president of product innovation for globally recognized consumer-insights firm The Nielsen Co., will reveal the results of the study Aug. 16 at the Wines & Vines Packaging Conference at the Lincoln Theater in Yountville. The study will examine consumer reactions to wine packaging that underwent a redesign. The three panelists: Gary Fisch, owner of Gary’s Wine and Marketplace in New Jersey, Debbie Zachareas, the co-owner and partner of Ferry Plaza Wine Merchant in San Francisco and Oxbow Mann stressed that producers ought to seek feedback regarding wine packaging from the frontline: retailers. I’m not a retailer, but one packaging “innovation” that drives me nuts is the heat-shrink capsule on wine bottles: it is wasteful, the little tab ostensibly designed to allow us to zip off its top hardly ever works properly and some of the capsules refuse to loosen their grip on the glass. Alas, that subject did not come up, and so I digressed. Gary Fisch focused on Millennials, the group whose 75.4 million members surpasses a declining Baby Boomer population–the two groups account for the majority of wine sold in the U.S. Fisch said that instead of celebrity names and weird brand names, millennial wine buyers seek “authenticity”. In other words, they don’t want gimmicks; they want wine from passionate winemakers. 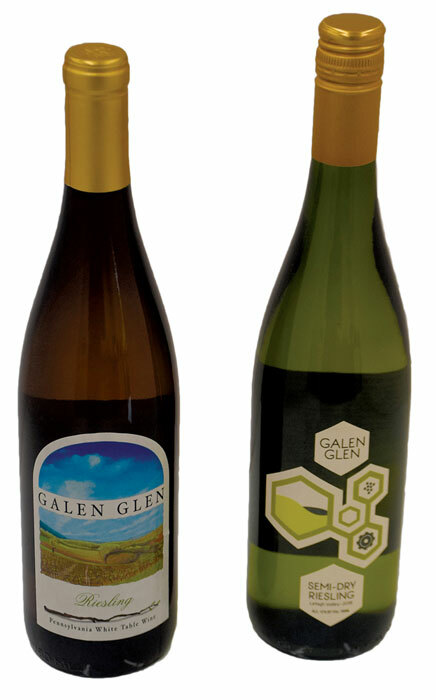 Fisch also said that where the vineyards are located matters to millennials, yet many marketers continue to offer products developed in city office buildings (an informed consumer knows that phrases on a wine label like “vinted and bottled by” and “cellared and bottled by” may indicate a lack of authenticity). 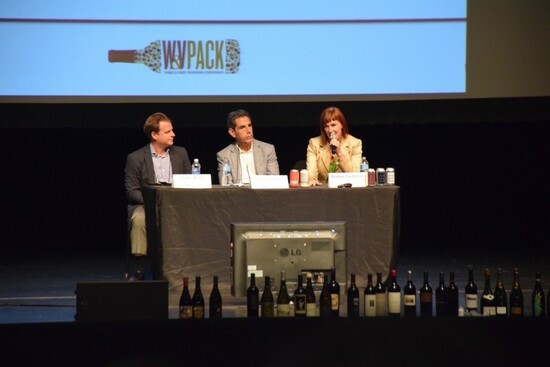 Yountville, Calif.— One of the most popular sessions at the Wines & Vines Packaging Conference on Aug. 17 featured three wine retailers discussing what wine packaging worked for them – and what didn’t. Yountville, Calif.— Improving packaging can have a big impact on a winery’s success, as described by Melissa Phillips Stroud, the vice president of sales and marketing at Michael David Winery, and director of marketing Mike Stroh at the third annual Wines & Vines Packaging Conference held Aug. 17 at the Lincoln Theater in Yountville. 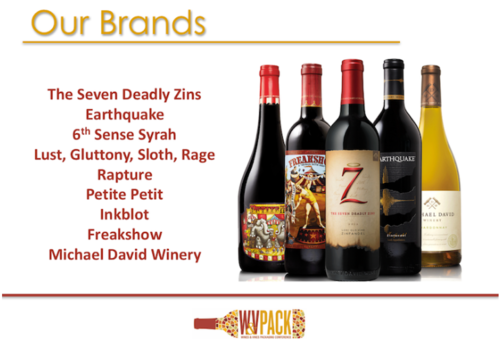 Named after brothers Michael and David Phillips, Michael David Winery created a huge hit with 7 Deadly Zins, a Zinfandel originally made from seven vineyards in Lodi. The wine helped put Michael David Winery and its home Lodi on the national wine map. Press Democrat— Wine companies have a lot of demands. They must grow and secure grapes. 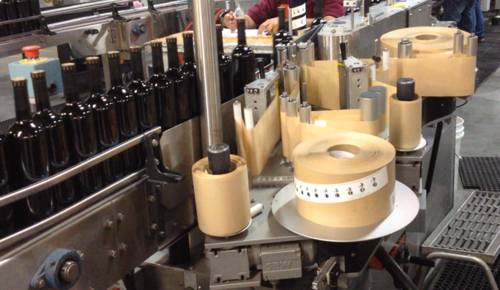 They have to oversee a laborious winemaking process through bottling. Then they have to compete on the supermarket shelf with thousands of competitors. 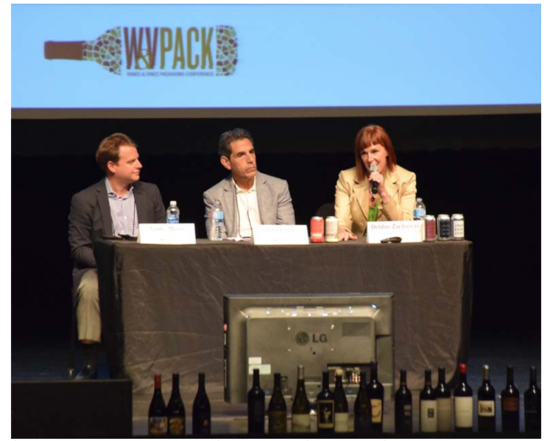 But a key factor in a wine’s success is packaging, which can make or break a brand as evidenced by speakers Wednesday at the Wines & Vines Packaging Conference held at the Lincoln Theatre. Yountville, Calif.— It doesn’t seem to matter how one gets there, but when you find the right packaging for your wine brand, you’re going to see better sales. Finding the right design can come from quirky and offbeat ideas generated in-house and produced with local talent, or they can be the result of a detailed and exhaustive processes with leading design firms. 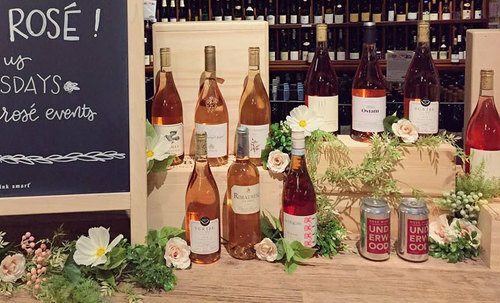 Either way, if you can home in on an effective brand and packaging strategy, your wine brand will have a definitive advantage on retail shelves. Yountville, Calif.— Designer Kevin Shaw is not afraid to shake the tree and see what falls out. 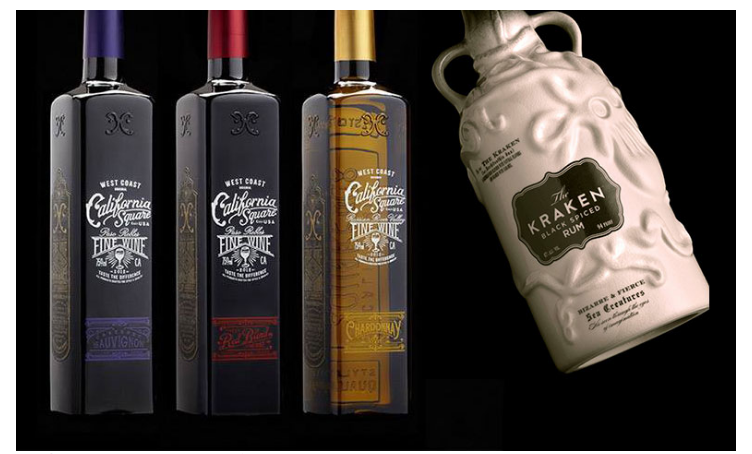 As founder of the design firm Stranger & Stranger, he’s created a wine bottle made of cardboard and packaged rum inside a ceramic killer octopus. 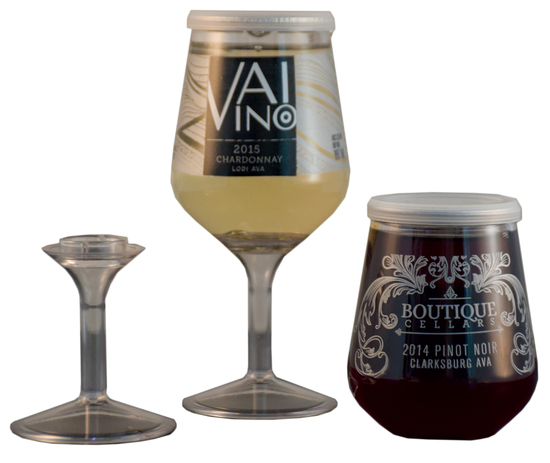 Come Aug. 17, he’ll be sharing his vision of how packaging connects consumers with products and how the wine industry can look to other luxury items for inspiration. 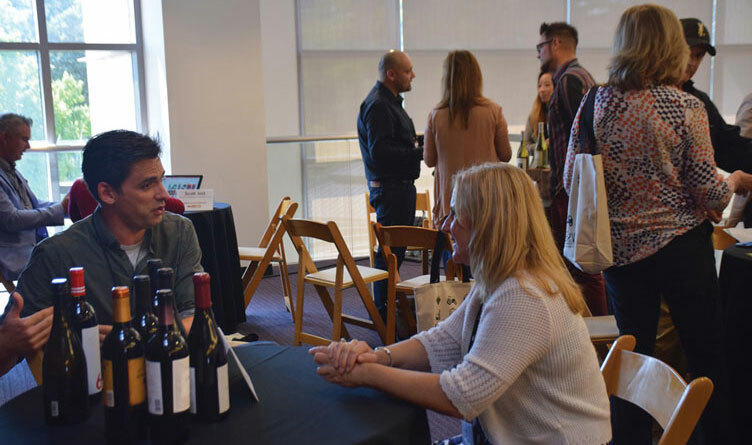 Yountville, Calif.— The popular activity Speed Dating with Designers will once again be part of the Wines & Vines Packaging Conference taking place Aug. 17 in Yountville. The activity features six design firms that have sent their top designers to meet with winery personnel and answer questions about new packages and brands, refreshing old packages, reigniting a design element that has stalled for them, how to design their package for specific market segments and more. Yountville, Calif.— Producing nearly 70 million cases of wine each year between them, The Wine Group and Trinchero Family Estates take up two of the the top four spots on Wines Vines Analytics’ list of the top U.S. wine companies. On Aug. 17, bottling and production specialists from these California wine producers will share some of the challenges and solutions involved with getting millions of gallons of wine out of barrels and tanks and into the hands of consumers. During a session at the third annual Wines & Vines Packaging Conference, Scott Childers, production manager for Trinchero Family Estates, will discuss the packaging execution strategy for the 17 million-case wine producer. In addition to outlining key performance indicators and objectives, Childers plans to discuss the company’s new $300 million winemaking facility in Lodi, Calif.
Yountville, Calif.— Following on the success of the inaugural Packaging Design Awards last summer, Wines & Vines has opened the competition to both suppliers and wineries this year and extended the entry deadline to July 22. Wineries across North America are eligible to submit one entry for each of their wine brands. To be considered, bottles, cans, bag-in-box formats and other submissions must be available for purchase and have been produced between Aug. 1, 2014 and July 31, 2016. Yountville, Calif.— With wine consumers trading up for pricier bottles at retail outlets, off-premise wine sales are becoming even more lucrative. But how can wineries ensure their products stand out on the shelf? Experienced wine retailers will share their knowledge of what sells—and what doesn’t—during the third annual Wines & Vines Packaging Conference taking place Aug. 17 at Lincoln Theater in Yountville. The speakers include Debbie Zachareas, managing partner and wine buyer at the Ferry Plaza Wine Merchant, and Gary Fisch, founder of Gary’s Wine & Marketplace in New Jersey. Yountville, Calif.— The two top marketing executives at California’s fast-growing, family-owned Michael David Winery will kick off the Wines & Vines Packaging Conference on Aug. 17 by telling the story of the vital role packaging has played in the winery’s rise to national prominence. 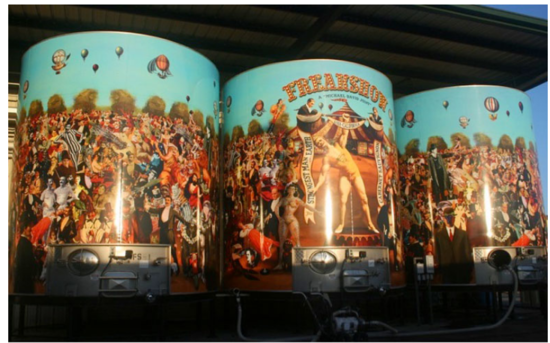 Named Winery of the Year by industry analyst Jon Fredrikson, Michael David Winery became the Lodi region’s unofficial standard bearer with courageous and catchy brands including Seven Deadly Zins, Earthquake and the now-surging Freakshow Cabernet Sauvignon. Yountville, Calif.— An all-star team of vintners, creative directors and wine trade executives has helped to create an outstanding lineup of topics and speakers for the third annual Wines & Vines Packaging Conference taking place Aug. 17 in Yountville. Napa, Calif.— The problem with cork taint in wine has been well documented. By the late 1990s, an estimated 2% to 10% of wine bottles were believed to be spoiled by varying degrees of the taint, most often caused by 2,4,6-trichloroanisole (TCA). 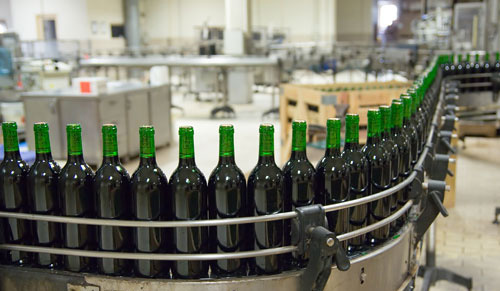 As a result, the cork industry saw some of its customers move to various alternative closures. The problem with cork taint in wine has been well documented. By the late 1990s, an estimated 2% to 10% of wine bottles were believed to be spoiled by varying degrees of the taint, most often caused by 2,4,6-trichloroanisole (TCA). 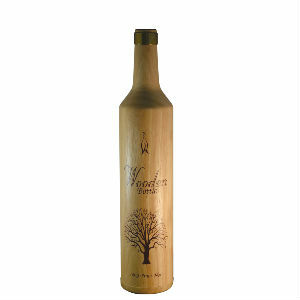 As a result, the cork industry saw some of its customers move to various alternative closures. Can a Great Design Make You Rich? Napa, Calif.— After sealing the deal to sell his Meiomi brand to Constellation Wines for $315 million, Joe Wagner became the wine industry’s newest “it boy.” The fifth-generation Napa Valley winemaker opened the second annual Wines & Vines Packaging Conference in Napa on Aug. 21, giving the keynote address before an audience of 250 curious wine pros. The 33-year-old Wagner began working with his father, Chuck, and grandparents Charlie and Lorna as a teenager. His single-vineyard Pinot Noir label Belle Glos, founded in 2002, is now the leading luxury Pinot Noir in the United States, thanks in part to a distinctive, instantly recognizable package. 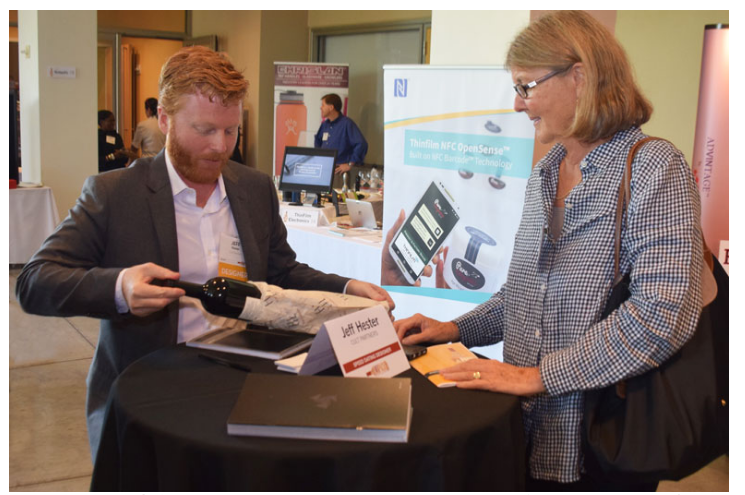 Napa, Calif.—More than 300 people attended the second annual Wines & Vines Packaging Conference in Napa on Wednesday to gain insights on new wine packaging innovations as well as connect with suppliers. 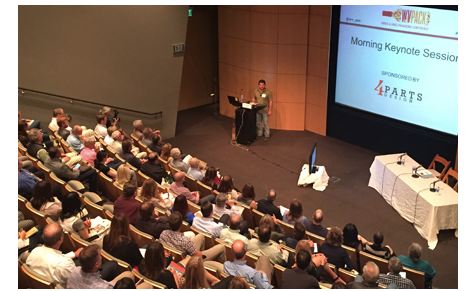 The event took place at the former Copia building and began with a keynote address by Joe Wagner, who founded the Meiomi wine brand in 2006. Wagner recently sold the brand to Constellation Brands for $315 million and told an audience of 250 people inside the main theater at Copia that packaging played a pivotal role in achieving that valuation. Napa, Calif..— handful of tickets remain available for the second annual Wines & Vines Packaging Conference this Wednesday, which will feature four educational sessions, two limited-seating tastings, a focused trade show and other activities centered around wine package design and performance. Conference sessions, breakfast, lunch, a targeted trade show and wine reception are all included in the $199 registration fee. Passes for exhibits and lunch only are now being offered at $39. The conference runs from 8 a.m. to 4 p.m.
Napa, Calif.—Winemakers will have an opportunity to “date” wine package designers at the Wines & Vines Packaging Conference on Aug. 19, but the object will be marketing rather than romance. Registrants at the second annual one-day conference in Napa will have the opportunity to meet for 10 minutes each with one or more of eight experienced wine package designers in a speed-dating format during the mid-morning Interactive Hour. Winery owners, winemakers and sales/marketing directors are invited to bring a current bottle or design idea to discuss as they get acquainted with these professionals. Napa, Calif.—Three technical sessions at the Wines & Vines Packaging Conference on Aug. 19 will explore the chemical and sensory implications of packaging decisions including cork taint, total package oxygen and the quality control ramifications of screwcaps and kegs. Two of these sessions will include blind tastings, while the third will reveal new data about the state of TCA incidence in natural cork. 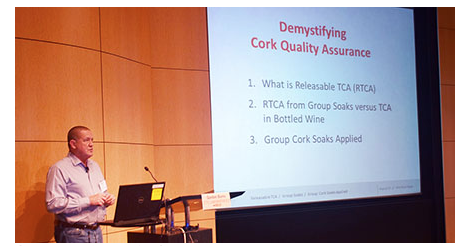 Gordon Burns, co-founder of ETS Laboratories in St. Helena, Calif., will speak about “Demystifying Cork Quality Assurance.” He will share data from the Cork Quality Council on trichloroanisole detection, including results in at least two areas that he believes have never before been shared publicly. One area is what underlies the concept of group “soaks” of corks to detect TCA vs. individual soaks, and another is how a group soak relates to the subsequently bottled wine. 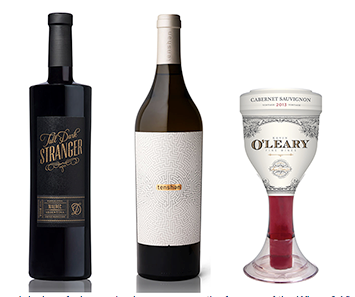 Napa, Calif.—An all-star panel of package designers will show and tell what’s new in materials and design at the Wines & Vines Packaging Conference on Aug. 19. Andrew Rice, the creative director of Trinchero Family Estates, will moderate the presentation by three designers who have created successful packages for Meiomi, Ramey, Honig, Jackson Family and many other wineries. The panel presentation will be one of five conference sessions and two special tasting sessions planned for the one-day meeting and trade show in the former Copia building in Napa, Calif. The designers will speak following the keynote talk by Joseph Wagner, the creator of the Meiomi brand that was recently acquired by Constellation Brands for $315 million. Napa, Calif.—The Nielsen Co. has long been known for tracking what consumers watch on television. Today marketers of packaged goods rely on Nielsen to track what consumers buy in stores. 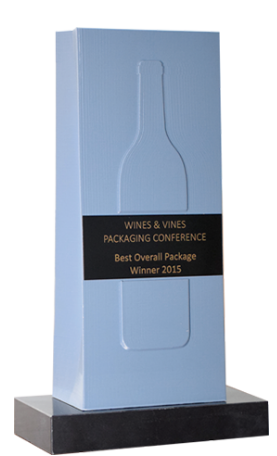 At the Wines & Vines Packaging Conference on Aug. 19, Nielsen will reveal the results of an exclusive study that evaluates consumer perceptions and behaviors related to wine package design and branding. 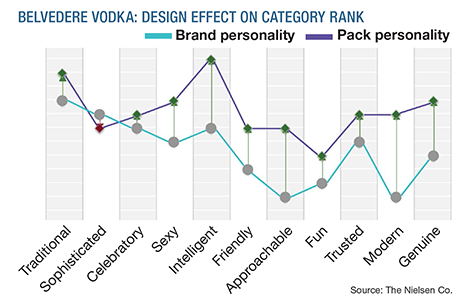 This month, Nielsen conducted a study of more than 2,500 consumers to understand the impact of package design within the wine category. According to Andrew Haney, vice president of Nielsen Design Solutions, the research involved a 360° assessment of select top-selling packages using cutting-edge design technologies that included eye-tracking and simulated choice scenarios about purchasing decisions. 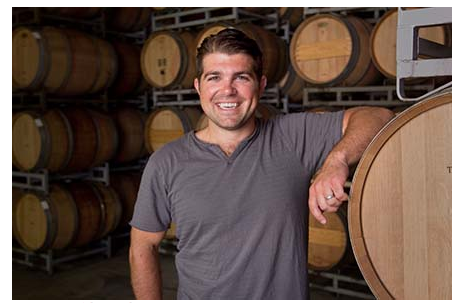 Napa, Calif.—The young winemaker who recently agreed to sell his Meiomi brand of California wine to Constellation Brands for $315 million will be the lead-off speaker at the Wines & Vines Packaging Conference on Aug. 19. Joe Wagner, a member of Napa Valley’s Wagner Family of Wine—founders of Caymus Vineyards— developed Meiomi while working for the family. He perfected an extremely popular flavor profile for the primarily Pinot Noir line while paying close attention to the wine’s package design, including a subtly tapered Burgundy-style bottle and twist-off closure with concealed threads. 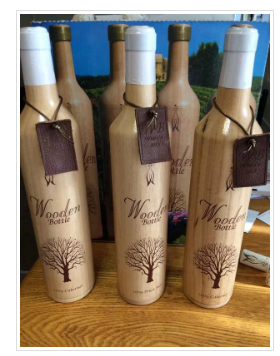 In 2014 Wagner formed his own company, Copper Cane Wines & Provisions, to produce Meiomi, Elouan and Carne Humana and to market other wines and merchandise. 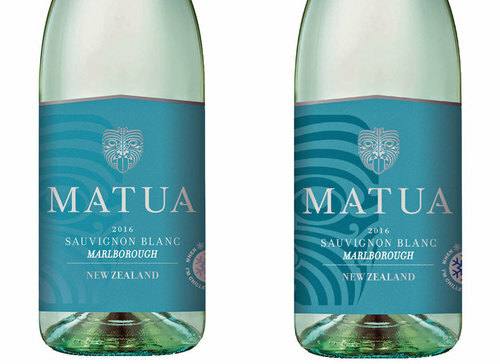 Constellation Brands announced July 1 that it had agreed to acquire the Meiomi brand, which had grown to more than 500,000 cases in 2014.